by Rabbi David Lapin	in	Midrash Series 5775, Vayetze	on November 26, 2014 . כי לא על הלחם לבדו יחיה האדם For life is nourished by more than bread alone Vayeitzei 5775 © Rabbi David Lapin, 2014 What the Midrash Means Series - 1:7 Context About to cross the border of the Holy Land on his way to Haran in flight from his raging brother, Ya’acov takes a nap on the spot which, unbeknown to him at the time, was to become the Temple Mount. The dazzling beauty of the ladder dream tends to eclipse the deep experiences of Yaacov when he awoke. Shocked that he had slept in so holy a place he marks the spot and makes an oath: If he, Yaacov, is able to retain his ..
by Rabbi David Lapin	in	Midrash Series 5775, Chayei Sarah	on November 13, 2014 . Service requires that one is singularly dedicated to the people one serves and that even ones own self-interests are subordinated to theirs. © Rabbi David Lapin, 2014 What the Midrash Means Series - 1:5 Avraham instructs Eliezer, his chief-of-staff and foremost disciple, to go to Harran and find among Avraham’s family there, a prospective wife for Yitzchak (Bereishit 24). Eliezer asks his master what he should do in the event the girl he finds does not wish to emigrate from her homeland, in this case would he allow Yitzchak to go and live with her family in Harran? Avraham answers i..
by Rabbi David Lapin	in	Midrash Series 5775, Vayeira	on November 06, 2014 . © Rabbi David Lapin, 2014 What the Midrash Means Series - 1:4 Bad things happen to good people We’ll never fully understand why things that seem so bad happen to people who seem so good. Still, there is courage to be gained from understanding the meaning of suffering and finding purpose in hardship. To help in the quest for meaning, the Midrash offers a framework using three metaphors to explain the verse in Tehillim 11:5 “Hashem tests tazaddikkim whereas His soul despises those who are wicked and who love corruption.” “1) Rabbi Yonattan explains: a potter checking his po..
by Rabbi David Lapin	in	Midrash Series 5775, Lech Lecha	on October 30, 2014 . © Rabbi David Lapin, 2014 What the Midrash Means Series - 1:3 ”Far be it from You to do something like this; to indiscriminately kill the righteous with the wicked… the judge of all the world will not do justice?…” (Bereishit 18:25). 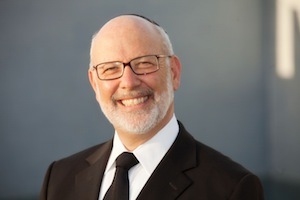 Rabbi Levi says: Avraham challenged Hashem:– If you want a world (olam) there cannot be justice; if it is justice you want, there cannot be a world. Why do You hold the rope at both its ends? You want to have both a world and justice! Give up one of them and if you don’t, the world cannot exist. –Bereishit Rabbah 39:6 Rabbi Levi turns Avraham’..
by Rabbi David Lapin	in	Midrash Series 5775, Noach	on October 23, 2014 . © Rabbi David Lapin, 2014 What the Midrash Means Series - 1:2 Noach was a righteous man in his times, but, says Rabbi Yehudah, had he lived in the times of (ethical and spiritual giants like) Moshe and Shemuel he would not have been considered righteous at all. Rabbi Nechemia says: If he was considered a righteous man in his times, how much more righteous would he have been considered in the times of Moshe or Shmuel. – Bereishit Rabbah 30:9 Environment unquestionably contributes to a person’s stature or lack thereof. This principle is acknowledged explicitly in Chazzal many tim..
by Rabbi David Lapin	in	Midrash Series 5775, Breishit	on October 14, 2014 . Six ideas were created before the world was created…..Rabbi Ahava berebi Ze’eira says Teshuva (repentance) also (was created before the word was created). – Bereishit Rabbah 1:4 In his two word comment buried in the middle of a paragraph of Midrash, R Ahava berebi Ze’eira revolutionizes the idea of cheit (sin). Teshuva is an end in itself; it is not just a means of accomplishing atonement for sin. Sin was created after teshuva, as a means to activate the teshuva process. Teshuva, says Rabbi Ahava, is not the consequence of having committed a sin. Rather sin was created as a way..